China has a huge netizen trail. The population of China is more than 1.35 billion citizens. Out of these, more than 580 million frequently use the Internet. China is the world’s second largest economy, on track to turn into the largest by 2016. This augment has contributed to the rise of consumer classes within the country and in turn captured the attention of global brands. As we all know Chinese companies have developed tremendously over the past decade, they have rapidly become more urbane in their business practices and schemes, generating both opportunities and challenges for Western businesses. 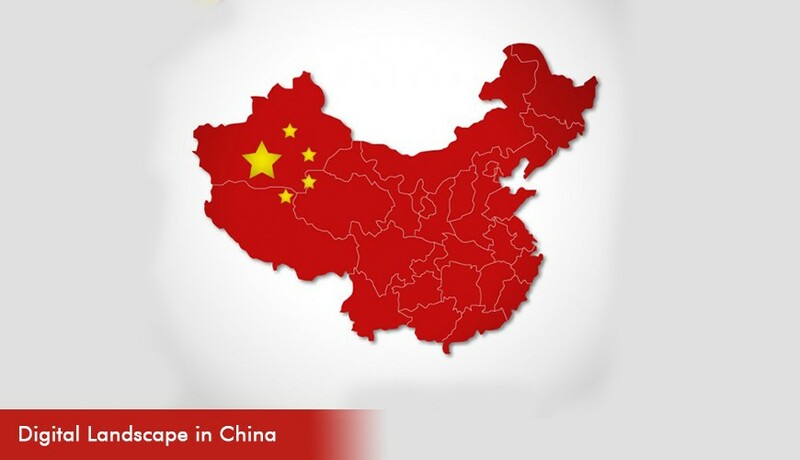 China with its large population is an important market for B2B marketers. Whether it’s a B2B or B2C campaign, marketing over online channels is a major segment of any investment. Majority of Chinese netizens use some form of social media, whilst patrons regularly post messages on online blogs and forums. Due to the immense popularity of such social media, China offers low cost and effective promotion and marketing channels for B2B marketers. Social media platforms have urbanized their own culture and are growing rapidly.. Just like in the West, new methods of communicating have sprung up and new trends can catch the imagination of millions. Baidu, China’s leading and most popular search engine is a very powerful channel for B2B marketers in the global market. As of November 2013, Baidu held 63.55% of the search engine market share in China. An optimization of Baidu is a necessity, for any B2B company with a Chinese website. Recently, GBIIM Team experimented with Baidu and other Chinese digital platforms during the implementation of search engine optimization for one of our most dominant client Bareinternational. While working on this, we realized that the mechanism of webmaster tools, page rank systems and analytics panel totally varied compared to other search engines. It was quite an obscure task to translate the web page content with the Google translator, due to the change in nature of the language. We discovered optimization of Baidu is carried out with diverse rules due to heavy censorship by Chinese Government. It required creating high quality and quantity content, fulfilling explicit SEO technical requirements like (Robots.txt, Sub-domains and Multiple domains, Site speed, iFrames, Java script and flash). Despite of all these stumbling blocks, GBIM team outmaneuvered the barriers and fruitfully accomplished SEO for this client. Sina Weibo is a micro blogging website which is also been called a Twitter clone. It is one of the important sites on China web and has gone to become the foremost platform for political and social discourse in China. At GBIM, we facilitated the commencement, management and updating a professional Sina Weibo account in concern with Chinese Internet users. We supervised the account effectively and created genuine content. Alibaba.com Ltd is an internet based e-commerce business. It’s the world’s largest online business to business trading platform. It helps to make buying and selling process easy. GBIM dabbled up with Alibaba.com for its clients and effectively took care of the SEO requirements, Link building requirements in sync with the Chinese censorship laws. We understood the culture and the market of china taking social platforms into consideration. GBIM is a renowned organization as it believes in considering the integration of content, channel and creative ideas. CONTENT– THE CONTAINER OF YOUR COMPANY.